Do NOT do this on your own without specific permission. 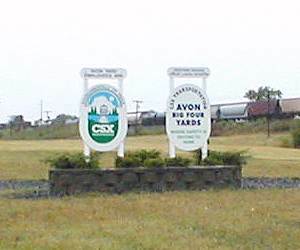 Trespassers at the Avon Yard will be prosecuted. 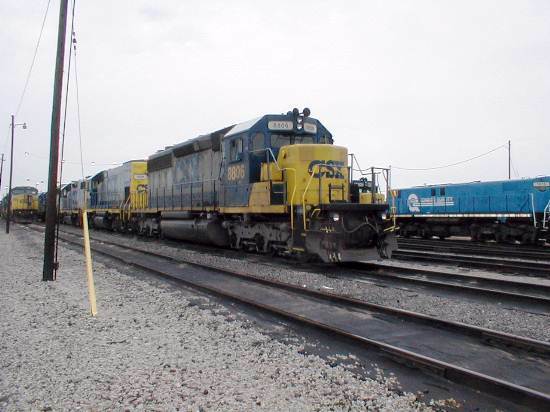 Numerous freight trains cross Madison County daily with destinations such as Cleveland, Ansonia, Toledo, Terre Haute and St. Louis. 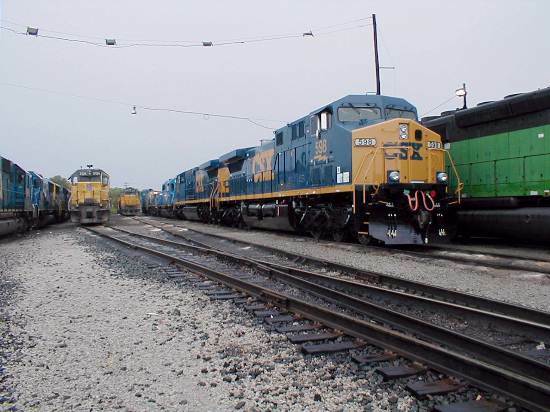 One place that many of these trains have in common is the Big Four Yard at Avon ten miles west of downtown Indianapolis. 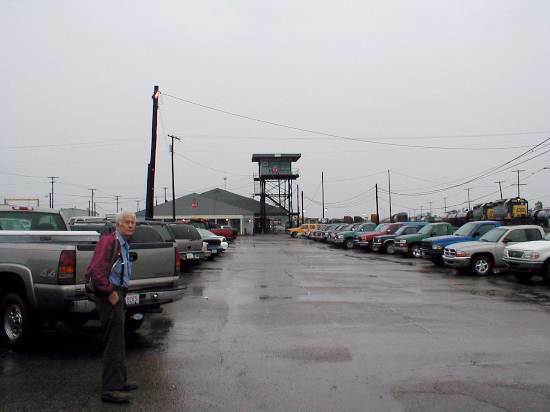 Monday's are slow there and Maurice Lewman was able to get permission for us to tour the yard. 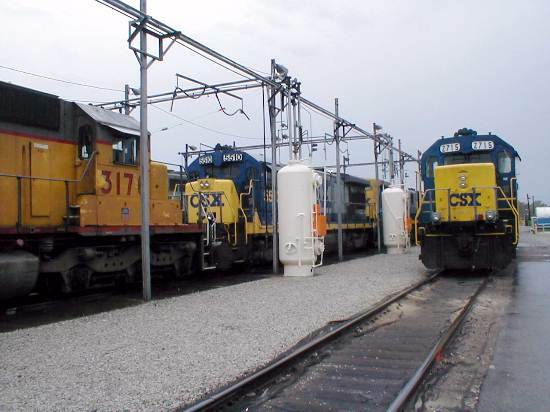 A Tour of CSX's Big Four Avon Yard. No, it didn't. It was raining hard and was dark and dismal. But by 9 A.M., the rain had let up quite a bit and Maurice was at my door ready to go. 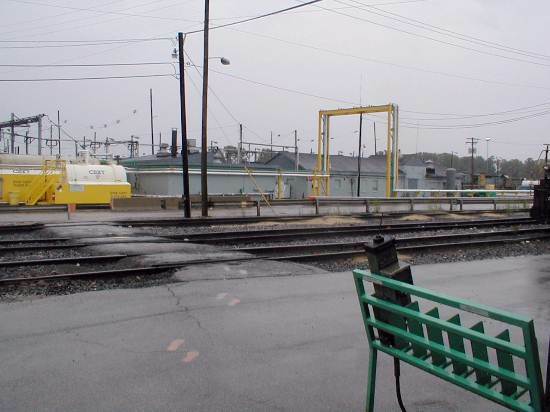 It still looked like rain to me, but off we went down SR 67 to Indianaplois and onto Massachusetts Avenue then around downtown and on to SR 36 to Avon. All the time, Maurice was pointing out where things had been and remembering operations from the past. No, I didn't record any of it. Duh! Some days I wonder about myself. 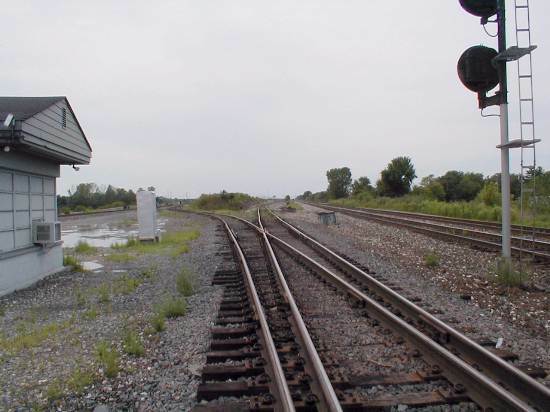 Looking west from CP MY at the beginning of the Yard, (1) is the Main and (2) are Departure tracks. 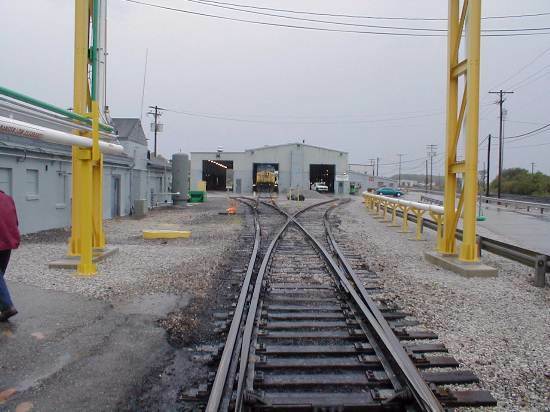 The tracks from right to left are, Main, Siding, North Departure and South Departure. 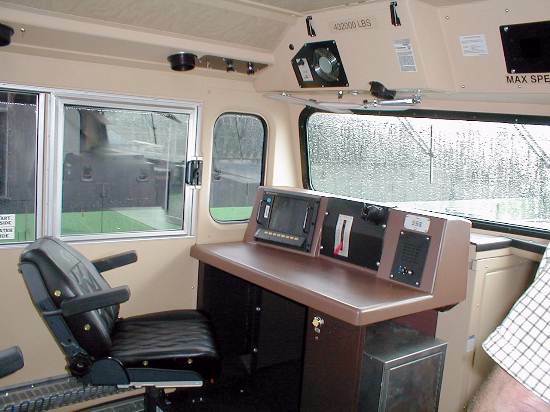 Heading into the Yard to the Offices, Tower 2 and the Road Foreman's Office where we were to meet Maurice's Son Larry Lewman, we passed a snow blower (3). 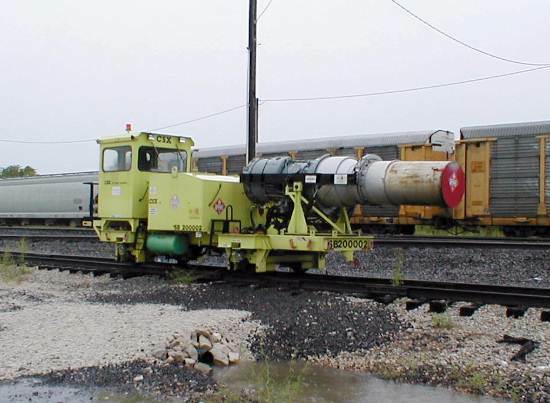 If you think that looks like a jet engine on a railcar, you may be right. With Tower 2 just ahead of us (4), I couldn't help but shoot some of the power waiting for their trains on my right (5). By the way, that is Maurice on the left in (4). 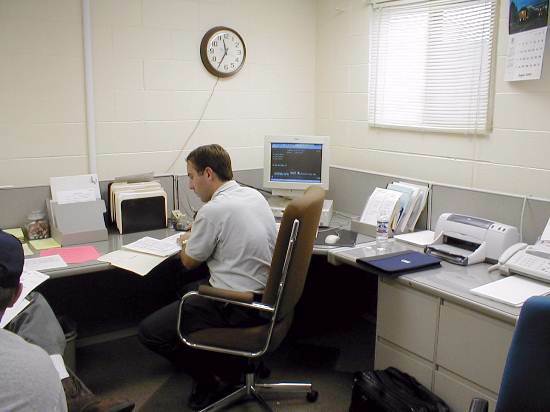 While in the Road Foreman's Office (6), we had the opportunity to sit in on some of the training interviews for student engineers. 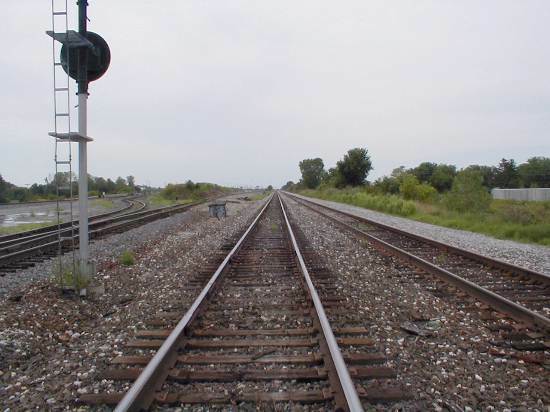 Most of it pertained to the routes that they would be working (eastbound). 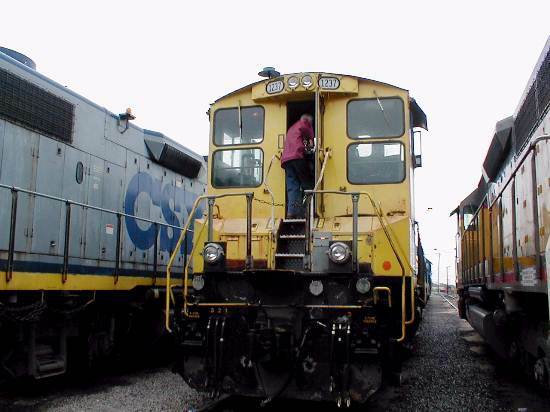 Unless you do know, it is sometimes surprising at just how far these train crews travel. Of course there is always the mundane matter of motels and restaurants and when should you ignore the radio traffic and take care of the signal indication ahead. (No, none of that is mundane.) I didn't stay too long in the interviews as I felt the pull to the outside. 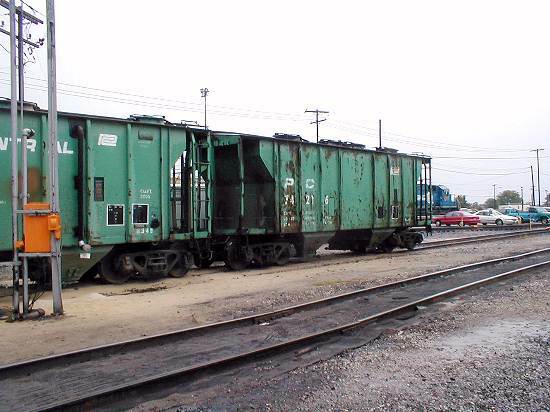 Stepping to the south door, I found a yard switcher sitting with slug 1014 just down the track (7). 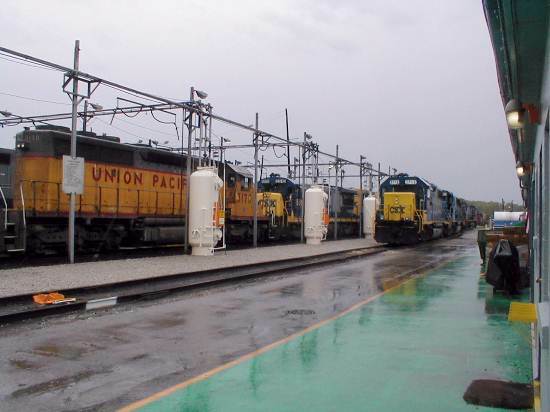 Ever wonder where all of those old Alcos went? There are several right here in Avon that have been cut down and are now slugs (no power, just extra concrete and traction motors). You'll see a couple more later. (8), (9) and (10) are taken from the same location. 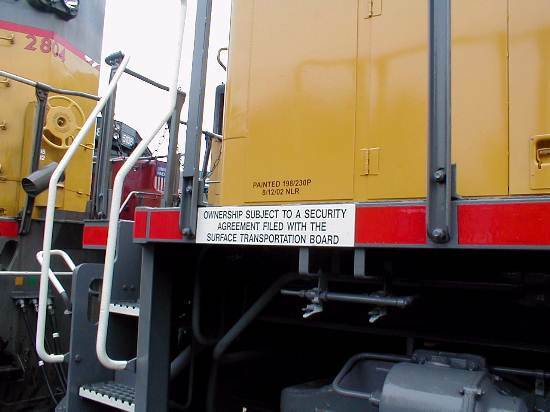 (8) is the sand storage. Note the PC hoppers. I'll get you a couple of shots later. 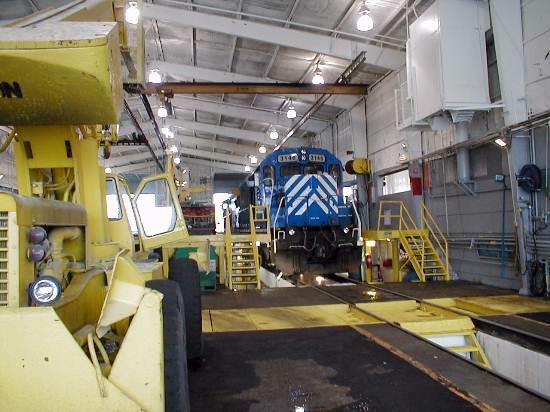 (10) is an end shot of the engine shops. 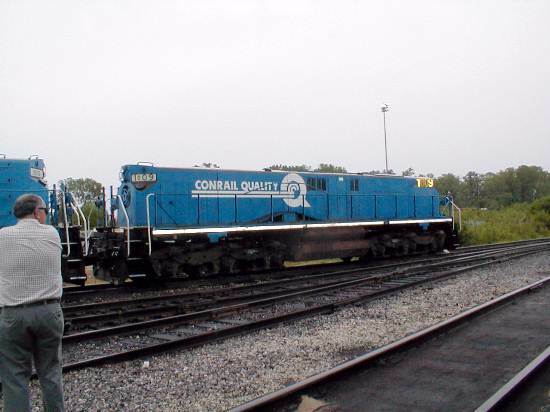 CSX does not permit as much routine maintenance to be performed here as was the case with Conrail. 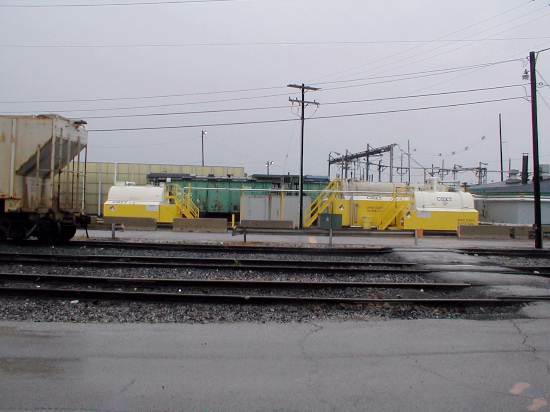 The yellow tanks and lines that you see in the photos are the response to environmental concerns. 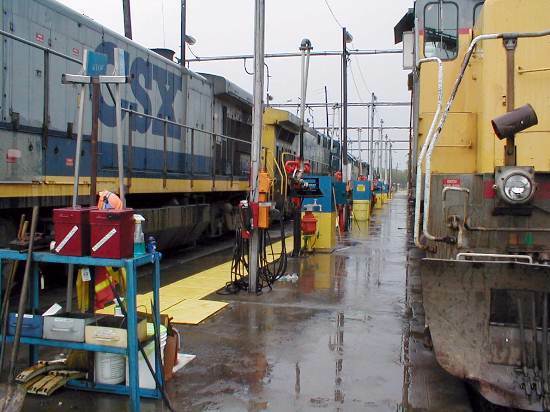 In fact, the tracks around the engine servicing facilities all have a material placed on them to keep the oils and fuel from soaking into the ground. They are taken up and replaced periodically. These shots are obviously engines being fueled and sanded. 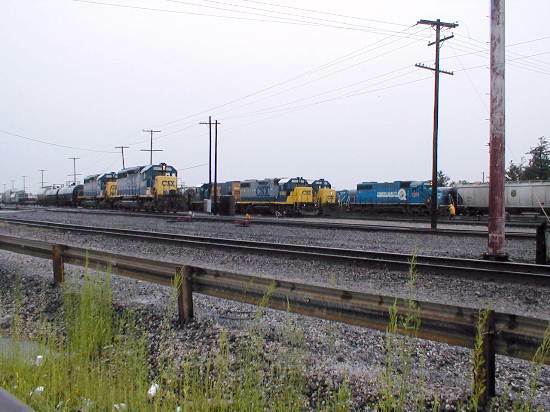 [Note the GE U-boat in (13)] (14) and (15) are the Penn Central 2-bay hoppers numbered 74206 and 74216 that are still in service although they never leave Avon Yard. They are moved to be reloaded with sand and then returned to their usual position as you see them. 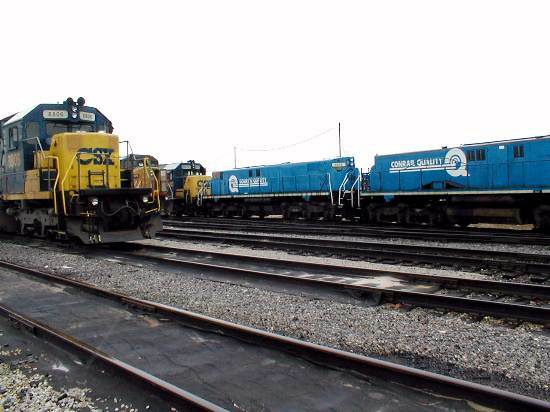 (17), 18), (19) and (20) are all of CSX 598, a brand new GE CW44AC with the delivery labels in place. 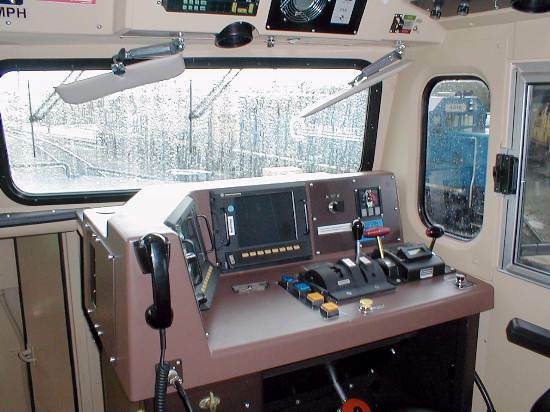 Going aboard, we could still smell the 'new' smell. (We should have because it was!) It was noted that the seats tended to be uncomfortable. I tried them and they were. The arm rests are too short. They are more like elbow rests. Bleeah. I don't think that I'd like to travel for 12 hours with them. 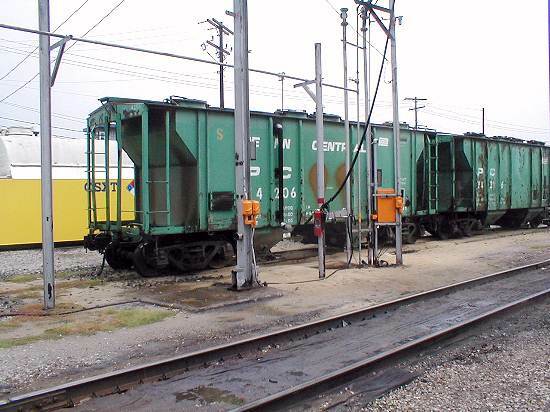 (19) was the engineer's position and (20) was the conductor's station. There was also a third seat in the middle. 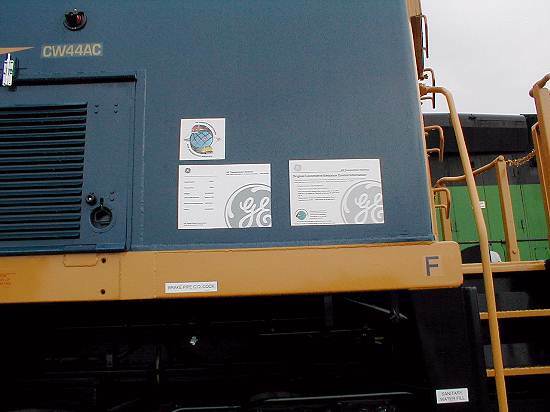 (21) shows how the UP solved painting new numbers on old SP units. Just paint out the old and add UP and the new number. 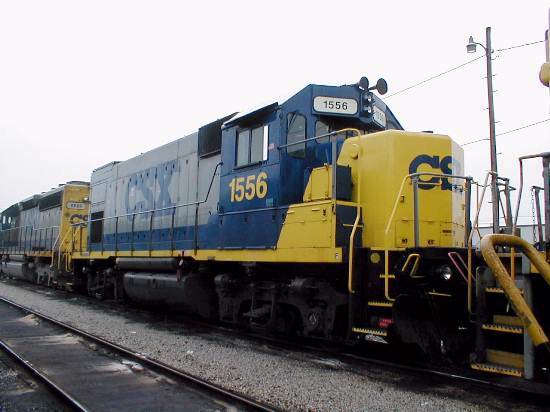 (22) is CSX 1556 an Ex-CR GP15-1 repainted and (23) is CSX 1237 is an MP15T. Understand that a side view of many of these units was just not possible. 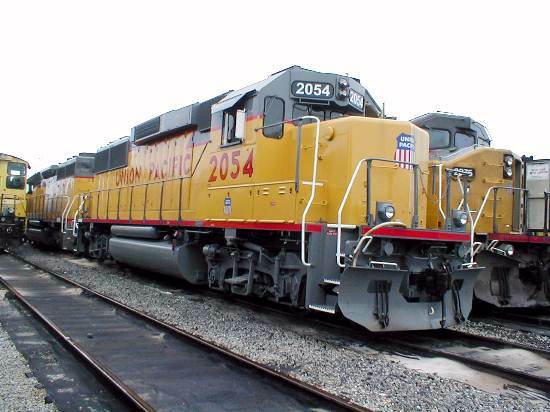 For the UP fans, (24) and (25) shows UP 2054, a freshly repainted GP60. 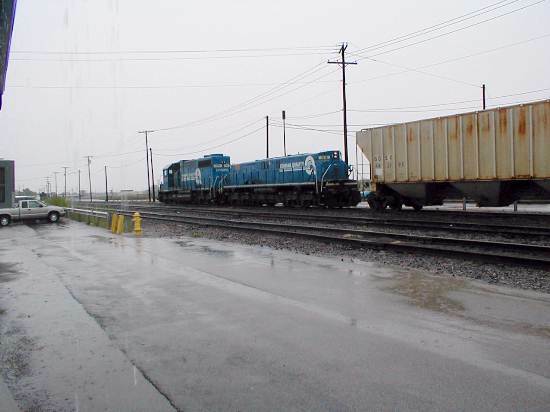 I promised more slugs, and photo (26) shows 1009 and (28) shows 1013. There were more, but these are all that I caught. 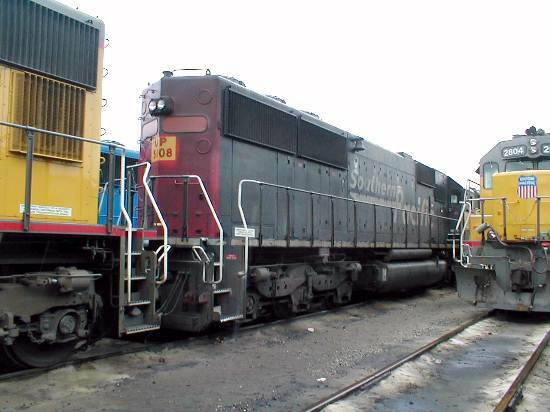 (27) is HLCX 6082, a SD40-2CLC (what's a CLC?). 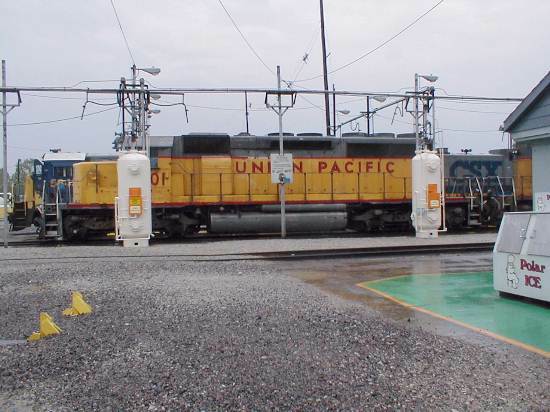 Photo (29), CSX 8806, is an SD40-2 that still has the front bracket for the Altoona setup for automatic uncoupling. 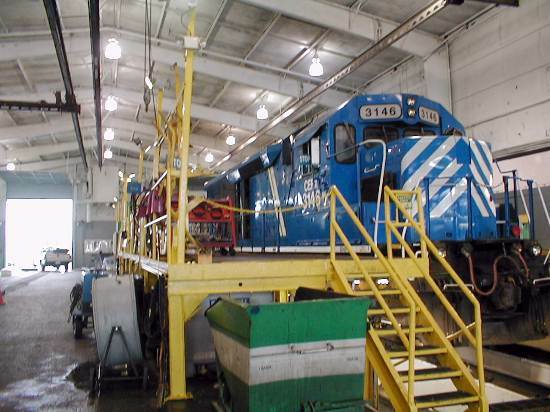 And last, but not least (on this page) are two interior shots in the engine shops, (30) and (31), showing CEFX 3136, an SD40-2 in Conrail livery. 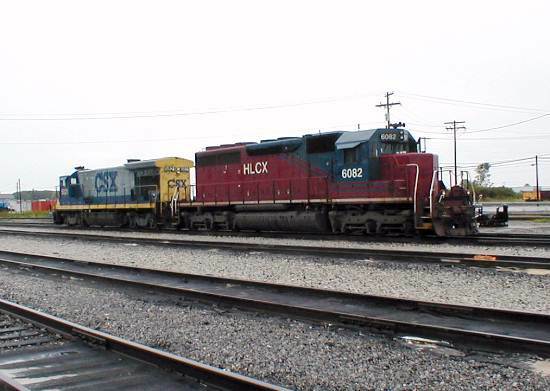 CEFX and HLCX are both lease units. That will do for this page. I have broken the tour into two pages for ease of loading and reading. Up until now, you haven't seen anything move. That changes on Page 2.